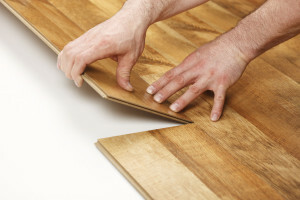 What is the difference between Prefinished Flooring, and Unfinished Flooring? Prefinished flooring is stronger, and may have a better warranty, than finish that is applied onsite. Prefinished flooring has the finishing process completed in the factory. This avoids the sanding, and finishing dust, and smells, from entering the jobsite. This material also shortens the length of the inconvenience, caused by the floor project. In Many cases the finish that comes on the prefinished. Unfinished flooring is material that is sanded and finished on site. The job will take longer to do, tying up the space for more time. There will also be dust, and fumes. The resulting appearance is always beautiful, and you have many more options in the look that will be achieved. Often the decision relates to what currently exists in the space. If matching something that currently exists. Unfinished might be the best bet! What is the difference between SOLID wood flooring, and ENGINEERED wood flooring? Solid flooring is one slice of wood through and through, Engineered wood has a plywood backing with a wear layer of solid wood on top. Solid wood flooring should really only be used if you will be having the floor professionally finished onsite. A solid piece of wood can move much more than an engineered piece, when adjusting to the moisture level, in your particular environment. When a solid floor is installed it is typically left to ACCLIMATE, or adjust to your particular space. This is best done by leaving the floor to tighten up after installation for a minimum of three weeks, before the sanding and finishing process takes place. Many times, as the floor adjusts, it will tighten ,move , and warp just a little. This is remedied by the sanding process in preparing for the onsite finishing. If you use a prefinished solid wood it will still acclimate by itself, however if it cups or warps, there is no remedy short of sanding the floor. This results in incurring refinishing costs, as well as eliminating your finish warranty on the prefinished wood. If it is prefinished you want, your safety net, or insurance against cupping or warping comes in the form of the plywood backing on the engineered wood. Can Solid wood be installed over concrete? Yes. To install solid wood over concrete substrait you must first install a plywood subfloor ,and moisture barrier system, as all SOLID wood must be nailed down. Is a LAMINATE floor made of wood? Laminate flooring is made of multi density fiberboard, covered with a thin plastic film that resembles wood. 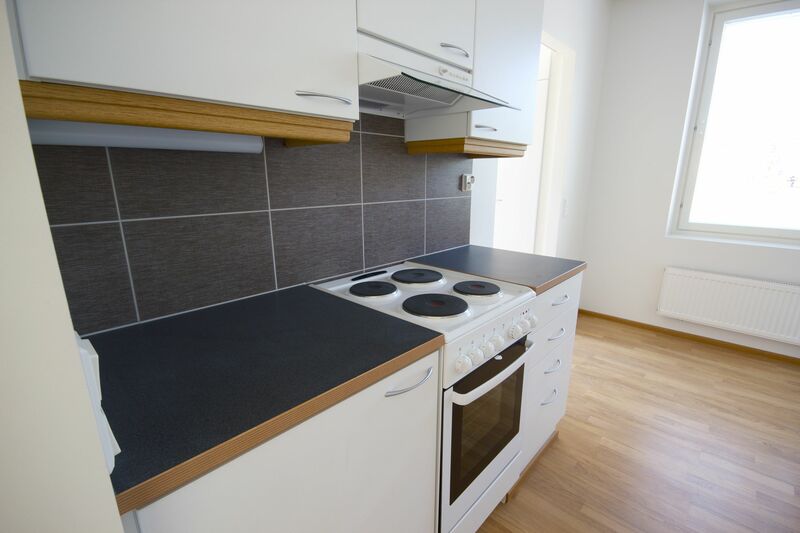 Some of the modern laminates, are very attractive, and can be a good choice, where budget is a big concern. What is a FLOATING installation? A Floating installation is not attached to the subfloor base. The material is attached from one piece to the next, sometimes by interlocking, and sometimes with a special glue. The material is separated from the subfloor with a thin mat, to keep it from rattling. This installation is most commonly seen with laminates, but can also be acceptable with engineered woods, in some applications. How is Engineered wood installed? Engineered wood is most often glued down. Engineered wood may also be stapled or nailed down. In some cases you can Float install. If you are going over a wood subfloor a nailed or stapled install is a great money saver. Is an uneven Subfloor , an unsurmountable problem? There are several acceptable remedy methods. Each situation could require a different approach. We are expert, in creating a flat surface for installation. How can I protect my floor from furniture damage? There are many great products to put on your furniture to protect wood. The best one, are the ones that stick on. The come in all colors, and sizes. The trick to making these work well is maintaining them. Always keep a supply handy, and notice when they are coming off. These products work better if they are applied directly to the furniture, if your furniture has metal or plastic buttons, removing them will help adhesion. Is Hardwood a good idea for a Kitchen? 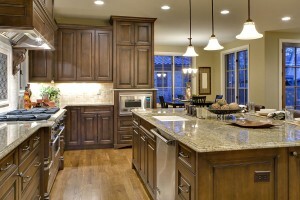 Hardwood works very well as a kitchen floor, it is often used in kitchens. Regular cleaning and surface water are not a problem. You might have a problem if you you incur extreme water damage. How long does refinishing a floor take? That depends on the size and condition of the floor to be refinished. Normally sanding and finishing an average room (12’x12’) is a three day job as long as there are no major repairs needed, the sub floor is in good condition and the finish dries completely from one day to the next. What is engineered Wood and laminate flooring? Laminate flooring is basically vinyl attached to an underlayment. Engineeredwood flooring is basically plywood with a veneer wood on the top layer. While these floors are usually less expensive than HARDWOOD, despite what anyone tells you, these types of flooring cannot be refinished. There isn’t enough, if any, wood to sand. If you must choose between laminate and engineered, the life expectancy of an engineered is longer. What kind of hardwoods can I place on a concrete sub floor? If moisture conditions are acceptable and only if moisture conditions are acceptable the two most widely used applications are engineered hardwood floors glued direct with the proper adhesives and floating engineered flooring types. The latter is typically glued by tongue and groove and floated over a foam cushioned underlayment. Floating floors are also available in the click together style that require no glueing. More traditional ¾” solid hardwoods on concrete can be accomplished with the addition of a plywood sub floor, used as a nailing base over the concrete. However that raises problems with door entries as the vertical height of the floor will increase by 1 ½ inches. Unfinished engineered hardwood floors eliminates this problem and can be custom finished. 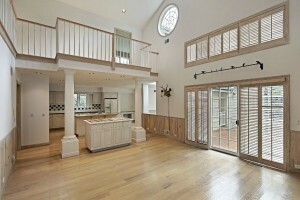 What about putting hardwood in my kitchen? Kitchens are a focal point in many homes and hardwood will warm your kitchen, making all your guests feel right at home. By taking precautions such as cleaning spills immediately, keeping scatter rugs in high traffic areas such as in front of the sink, putting felt cushions on chair legs and using recommended cleaning procedures and products your floor should maintain its beauty for many years. 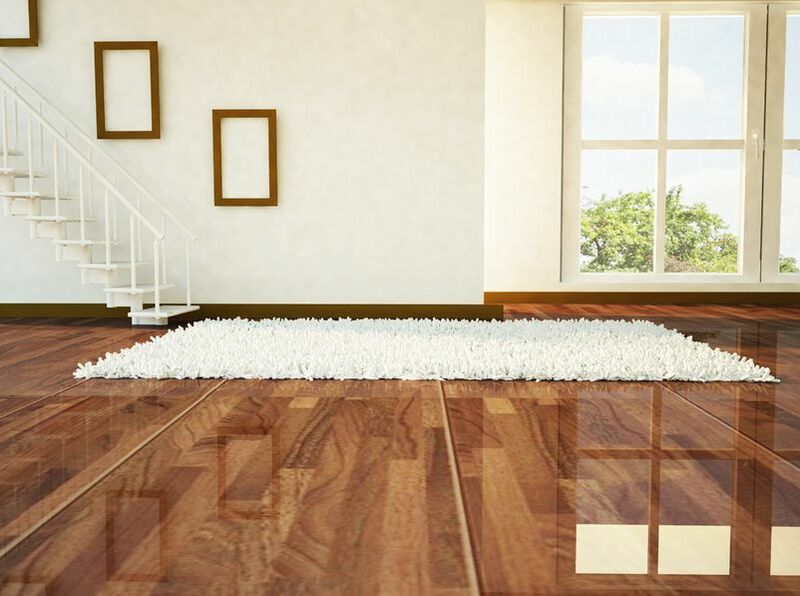 Hardwood is extremely durable and with minimal care will outlast most floor covering. Can I put hardwood in my bathroom? Hardwood is installed in many ½ baths but putting hardwood in a bathroom with a tub or shower can be dangerous. Careful consideration should be given to putting hardwood in a bathroom with a tub or shower; WATER and WOOD DO NOT MIX! Yes, however access to the area and floors where the sanding process is being done will be restricted so as not to cause any damage. There is the need for a certain amount of drying time each day. What are the advantages and/or disadvantages of installing Prefinished Hardwood Flooring versus installing Unfinished Hardwood Flooring? Prefinished flooring is manufactured in a facility mostly by conveyor belt method. After the hardwood is kiln dried, tongue and grooved, and beveled on the edges, it is placed on a conveyor belt where the stain (unless “Natural”) is applied and then dried on the top of the boards. It then continues down the conveyor belt where thin amounts of a water-based polyurethane finish are jet-sprayed on top of the boards. Each coat is thinly applied so it will dry quickly; this is repeated until each board has approximately 7-8 coats of finish. BE AWARE each time a new run is made the dye lot changes; sometimes very noticeable and sometimes not noticeable. Also prefinished flooring comes in a variety if thicknesses (solid, laminate, engineered, etc.) but the manufacturing process is the same. Unfinished flooring, after it is sanded and finished, if done properly is flat and smooth. Most unfinished hardwood flooring does not have a beveled edge so dust and dirt does not get trapped between the boards. If stained, the stain is applied by hand in a wipe on, wipe off excess technique which allows the hardwood to look as it was intended to look, MORE NATURAL and more importantly, the polyurethane finish is applied with an applicator in thick coats giving you a longer-lasting wear protection. Unfinished hardwood floor allows custom stain colors. THERE IS NOTHING BETTER THAN AN UNFINISHED HARDWOOD FLOOR THAT IS SANDED AND FINISHED ON SITE!